about this book: When I found out I was gluten intolerant I drew on my background as the daughter of a chef and home cook to bring together a collection of recipes I could use from then on. This was for my personal use, but in the course of collecting them, I realized that I couldn't be the only one facing the exact same situation. Not everyone is as lucky as me. My dad taught me all the basics and oversaw my development into a pretty good cook, even if I do say so myself. Professionals in catering learn how flavors go together, and because I grew up with it, this became instinctive for me. All of this expertise, plus my years of writing technical manuals aimed at absolute beginners (in the field of computer software) came together so that I'm told that I have a style which is both easy to read and to follow. As a Brit, I find it difficult to blow my own trumpet, but I'm pleased to report that I've had wonderful reviews for my book, with comments like "Great collection, lots of different foods and EASY!!" 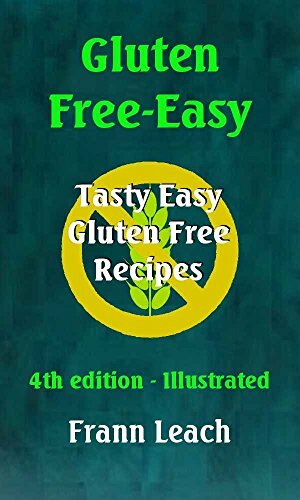 and "Excellent resource for anyone who is Gluten-Free!!" I'm thrilled, I have to say, and pleased that my work is turning out to be helpful to others, as I hoped it might. 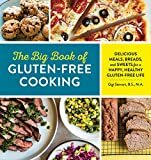 If you're recently diagnosed and finding the gluten free life difficult, it's my hope that you will find this book useful. You'll find a very wide selection of recipes from the most basic to elaborate items suitable for the most special person in your life. I hope you like it.